MONTREAL - Experts are worried about a report that shows India has moved ahead of Canada in space competitiveness and that Canada is also losing ground to other big players in space. 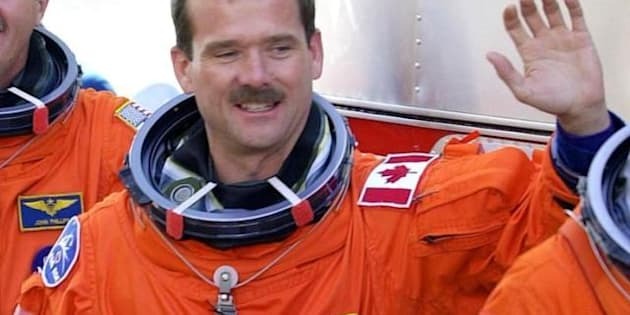 Steve MacLean, the head of the Canadian Space Agency, has been working for several years on the long-term plan. It was first due in November 2008. Vaccaro says the continuing delay is having a ripple effect on Canadian companies which hold off making decisions because they depend on the vision laid out by the government. "The lack of a long-term space plan, the lack of any future science projects, the lack of basic research being done, that is hamstringing our efforts," Black said in an interview. Shortt also says he's heard that MacLean's long-term space plan has been categorically rejected and is basically a dead horse. Com Dev International (TSX:CDV), Telesat, and MacDonald, Dettwiler and Associates Ltd. (TSX:MDA), which built the Canadarm, account for a large portion of Canadian space exports to the United States. "The revenues for those companies in 2009 ranked them among the top 75 companies in space," Vaccaro added. But Black says MDA recently mentioned publicly that it has had trouble growing in Canada and is "looking for opportunities elsewhere." Shortt says senior people at Com Dev, a satellite equipment manufacturer, have told him the company is not doing any major planning until it sees what the Canadian Space Agency does. Shortt says the Canadian space industry should do likewise and seize every opportunity it can.